Tara Gamel grew up in the beautiful mountains of Colorado. She always had a passion for art, even at a young age. Growing up in the 80’s gave her an appreciation for pop art which seemed to resonate with her personality. As a teen, she painted and sold images similar to popular pop artist Patrick Nagel. She obtained a degree in graphic design in Arizona, but still longed for the process of putting paint to canvas. Tara and her husband created art together for various companies around the valley for many years. After moving out of the city, Tara discovered her love for painting again through close friends who were also professional artists. She began painting pieces for local and national galleries, and sold many works through a national publishing company. As she grew as an artist she began to see a change in the way she wanted to create. She attended the Milan Art Institute mastery program to elevate her skills and discover her artistic voice. After graduating, Tara’s work now has humor and thought provoking imagery that captures the viewers. 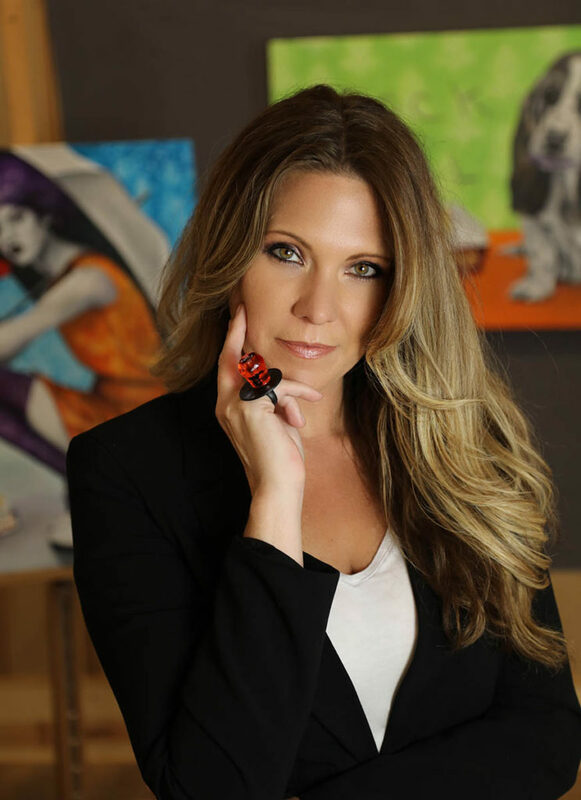 Tara hopes to continue to create art that communicates her ideas and humor while still creating a sense of pleasing aesthetics to her collectors. Tara and her artist husband Stacy now have 4 children together, one who is also a professional artist. They plan to travel and create art and share their voice with the world. Click HERE to shop Tara’s art.